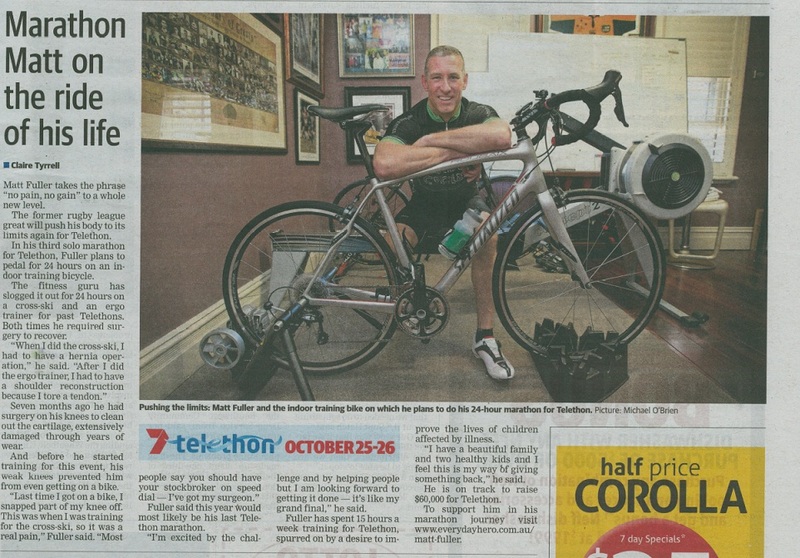 OCT 16, 2014 Former rugby league great Matt Fuller is pushing his body to the limit again for Telethon. The West Australian caught up with Matt before his third solo marathon that will raise money for Telethon. Donate to Matt and encourage him to keep going.